This tutorial will show you how to make use of the multi-material shader. First on we need to create a proper UV-Map. 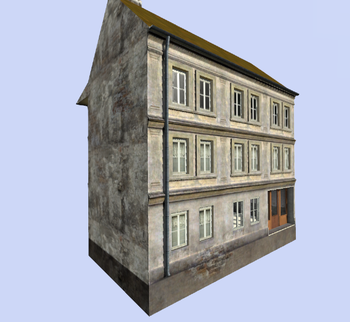 This will give us a basis on which you can then later on "paint" where you want to have specified textures. 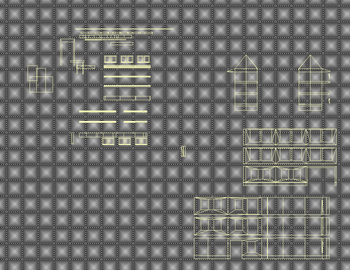 Once you created the UV-Map, export it as an EMF. Convert this EMF to JPG, TGA or something else your graphics software can read. Now paint plain colors where you want to apply textures. This is very similar to the creation of a layermask texture used for the creation of islands. The EMF will help you where to put what. When you're done, it could look like the picture to the left. Next on create an MC texture using the exported EMF. The MC texture will be giving a special tint to the complete model. You can consider this the "real" texture, while the multiMaterial only defines textures that overlay to increase the resolution and fidelity of the applied texture. Similar to a Detail-map. If you fancy Ambient Shadow - which you should - you can create one of those, too. See some of the BIS-Ambient shadow maps (Tagged either *_AS.paa or *_ADS.paa) to get a picture of what It should look like. Now you need to select all of the faces of your model you want to use the new material. You can do this by either selecting specific faces or using the UV-Editor and the "select in model" function. (The latter being easier and faster). Once all faces selected, hit E and remove any applied texture, and add your material. Once done that, copy all the contents of your UVSet 0 into the newly created UVSet 1. UVSet 1 will define where to put what texture, UVSet 0 will define the scale. 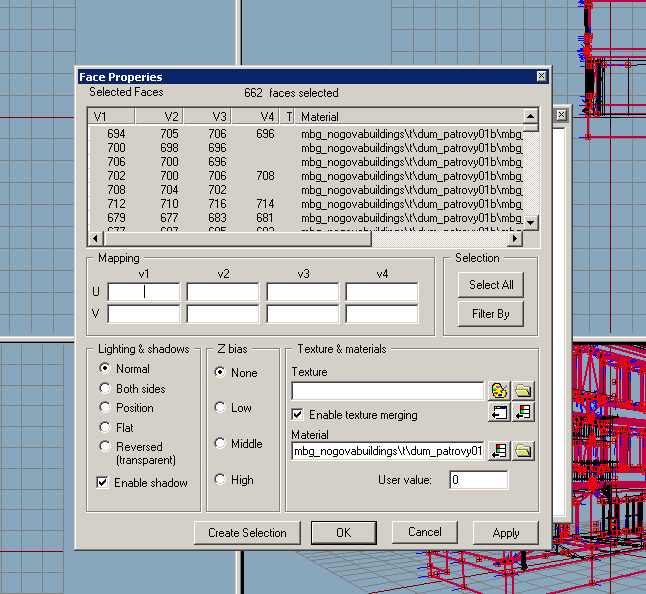 So go back to UVSet 0, select everything and scale it up big time. One of the dotted squares represents a full size applied texture. This is why multimaterial allows for such awesome texture-fidelity. This is UVSet 0. Leave UVSet 1 untouched! This page was last edited on 3 December 2018, at 16:47.